This luxuriously soft organic cotton blouse is what we like to call an outfit-builder. 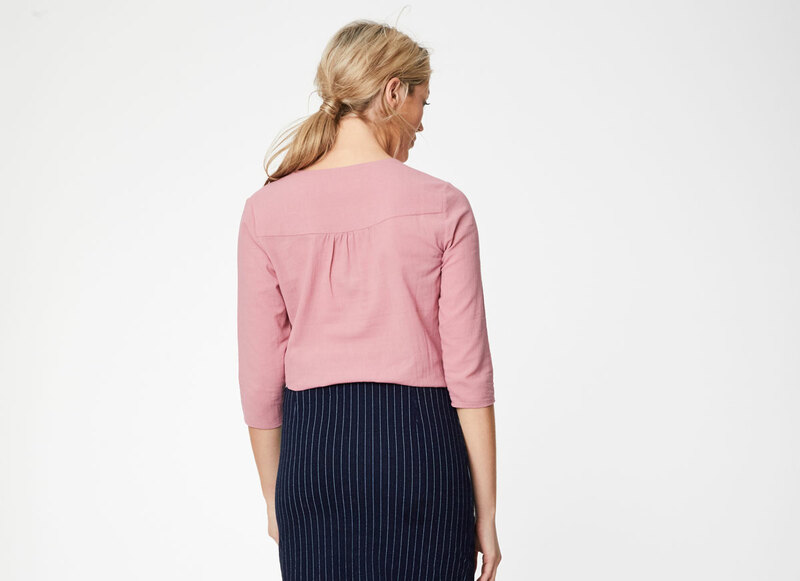 Designed to be worn with anything in the collection, this relaxed fitting blouse features smart cropped sleeves, feminine pleating and a tie at the front. Pair it with bold prints for a contemporary, bold style.